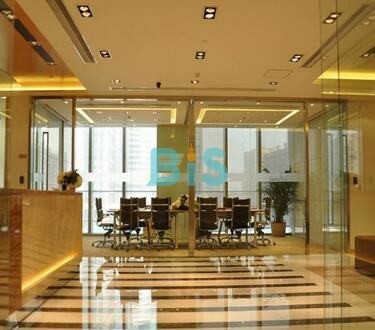 Gubei International Fortune Center 2 located in Changning District where the geographical position is superior providing serviced office well equipped allowing you to carry out your business as soon as you arrive which can save you a lot of time and cost to decorate your office.Adjacent to Shanghai and Yanan elevated Highway Loushanguan Road.Only 5 minutes walking to metro line 10 Yili Road Station and the traffic is very convenient. Gubei International Fortune Center 2 Business Center collects science and technology ,culture,shopping,entertainment and commercial all together as an international business office.Building exterior is fashionable as well as practical providing you with energetic conservation and environmental protection. 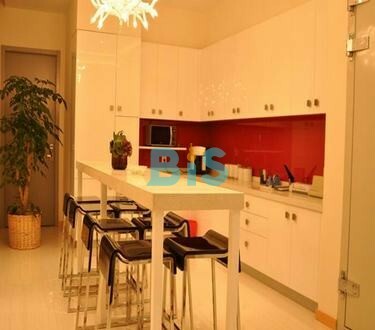 Grand Gubei is located in Changning district in Shanghai Gubei Fortune Center, where the geographical position is superior close to Yanan elevated highway Loushanguan Road Ramp, only 5 minutes walking to metro line 10 Yili Road Station.The traffic is very convenient.